I am in love with Russell Hobbs! Now hold your horses. Before you go running to my husband and warning him of my infidelity, it isn’t what it seems. 🙂 Russell Hobbs is UK’s leading kitchen appliance brand, the first to introduce the coffee pot with an automatic keep warm feature, and the first to bring the automatic electric kettle to the world. And I am in love with their Desire Collection! The Desire collection truly lives up to its name – I am now dreaming of having this entire line. Of course, I’m also dreaming of a kitchen that would do it justice. 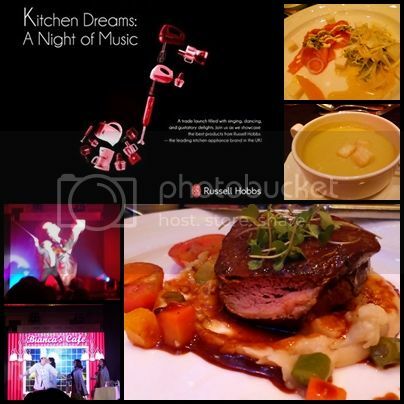 Last May 6, a night of gustatory delight and music awaited us at the Makati Shangri-la on Tuesday night. We were treated to a sumptuous dinner and fabulous music. We also got to know more about the Russell Hobbs brand and saw firsthand their line of elegantly designed kitchen appliances. Clarence Cu, Sally Sidani, and Patrick Leow, presented the Kitchen, Desire, and Allure collections now available in the Philippines. 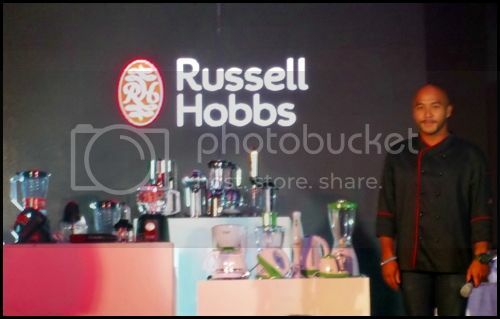 Also at the event was Chef JP Anglo, esteemed endorser of Russell Hobbs Philippines. We are excited to bring to the country one of UK’s leading brands of small kitchen appliances known for its timeless style and performance. 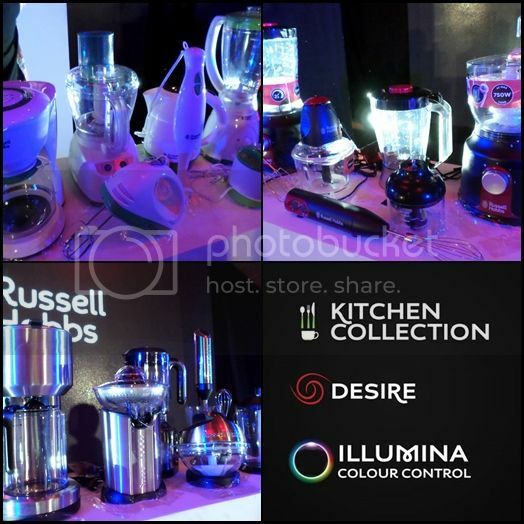 With this, we strongly believe that Russell Hobbs will be at the heart of Filipino homes from now on. Young professionals who have just started to live independently and start-up families who are building a new life in their own homes now have a new partner in making their dreams come true. 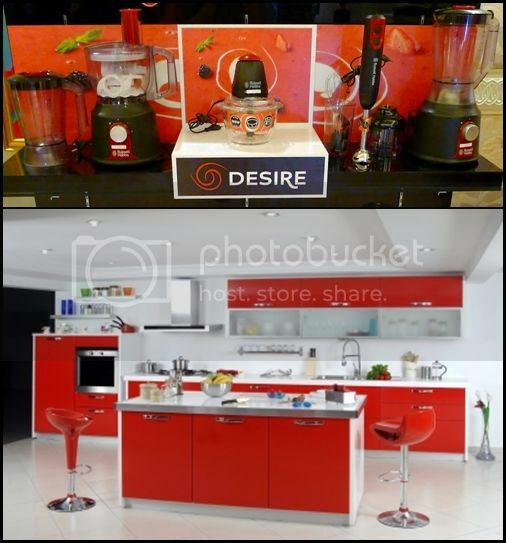 As much as I love the entire Desire Collection with their matte black finish and vibrant red accents, its price is out of our range. Fortunately, Russell Hobbs also has a line of products that’s right within our budget. The Kitchen Collection is for moms like me who want high-quality products at affordable costs. This collection comes in white gloss finish and green accents and is sure to make breakfast and food preparation a breeze. Their uncomplicated designs make them very easy to use and would keep early morning rush a bit more relaxing. The state-of-the-art Allure and Illumina collections, on the other hand, would make any modern home complete. The brushed chrome finish and sleek 21st century design of the Allure collection makes them not only powerful functional tools in the kitchen but also stylish furnishings for a modern hub. The unique color control light rings of the Illumina collection seem to transport one into the Jetson’s kitchen. Really awesome! However, this line isn’t available here yet so you’ll still have to wait until April 2015 for its launch. 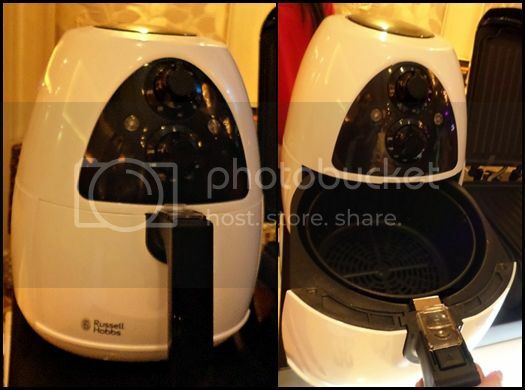 Among the products exhibited during the launch, the Purifry and the Griller and Panini Maker in One were what caught my interest. 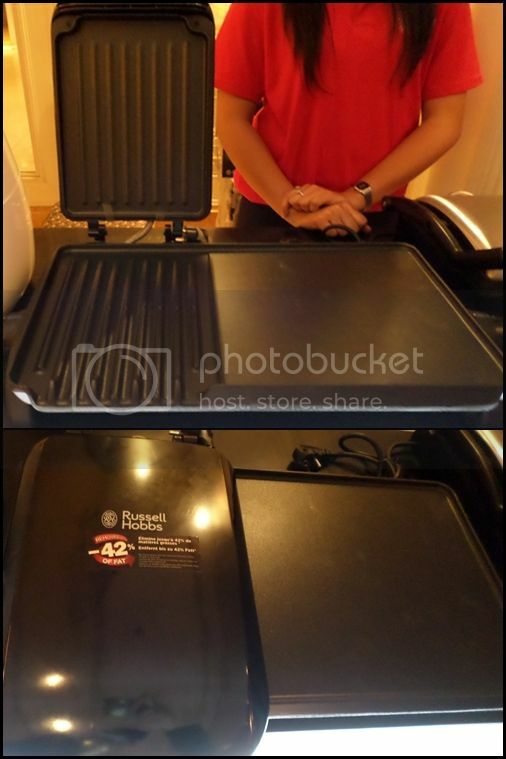 The Purifry would be perfect for making “fried” meals for my hubby without using any oil at all. It works like a turbo broiler only your food gets cooked faster and more efficiently. The Griller and Panini Maker would be great for the snack store that we’d been planning to open (crossing my fingers it’d be REAL soon) here in our neighborhood. Whether your dream is to just have a home kitchen worthy to be featured in a magazine or to have your very own chic cafe, Russell Hobbs helps you achieve your ambition. Learn more about UK’s number one kitchen appliace brand at www.russellhobbs.com. Like them on Facebook at https://www.facebook.com/russellhobbsph to keep up to date with product launches and promotions. Russell Hobbs has been a household name in UK for more than 60 years. It was founded in Great Britain in 1952 by Bill Russell and Peter Hobbs. They revolutionized the kettle market when they offered the first automatic electric kettle. They are also the first to offer the market a coffee pot with an automatic keep warm feature. 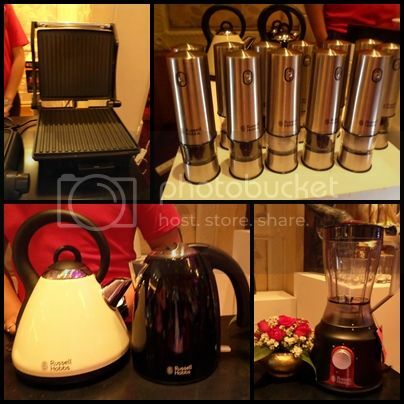 Russell Hobbs is exclusively distributed in the Philippines by Tocoms Philippines. It is now available in leading appliance and department stores nationwide.